A Box of bacon. 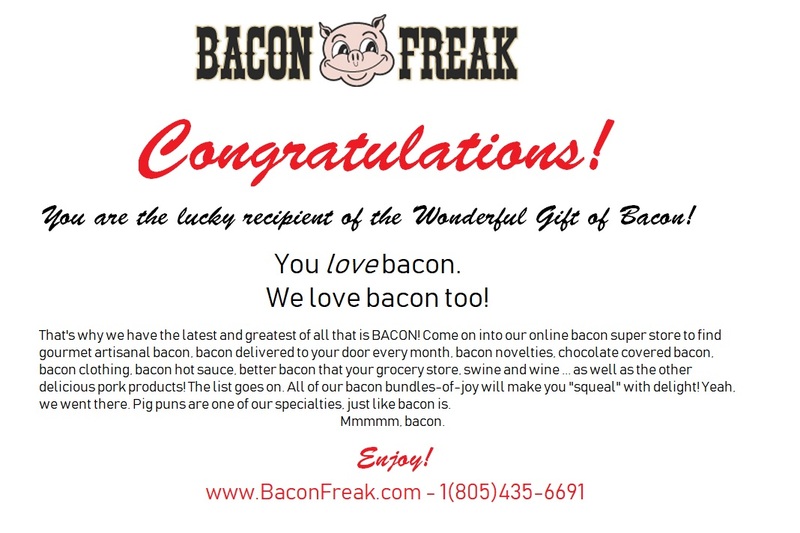 It's the ultimate gift for the holiday season, a birthday, or just because you want some delicious bacon for yourself! Filled with 8 packages of bacon (14-16 oz. each), this bundle will please any bacon fan who receives this on their doorstep. Flavors may vary from what's in the photo, but they are all different and they are definitely all delicious! good Gift for my son in law. Excellent! Perfect gift ideas for the hard to buy for.